Caitie is a graduate of Florida State University with a degree in marketing. Caitie has a diverse work history ranging from marketing to sales to hospitality. 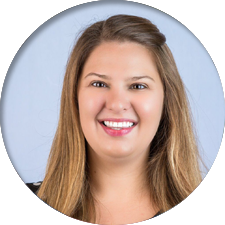 She joined the RCS team as the Tallahassee regional manager in 2014 and quickly expanded her territory to cover from Tallahassee across the Panhandle to Destin. She oversees and trains for 100 risk management clients in the Florida Panhandle area as well regularly servicing numerous high performance training clients throughout Florida. Caitie holds three certifications from the National Restaurant Association and two from the American Hotel & Lodging Association. Most recently, she earned the distinguished Certified Hospitality Trainer designation from AHLA.